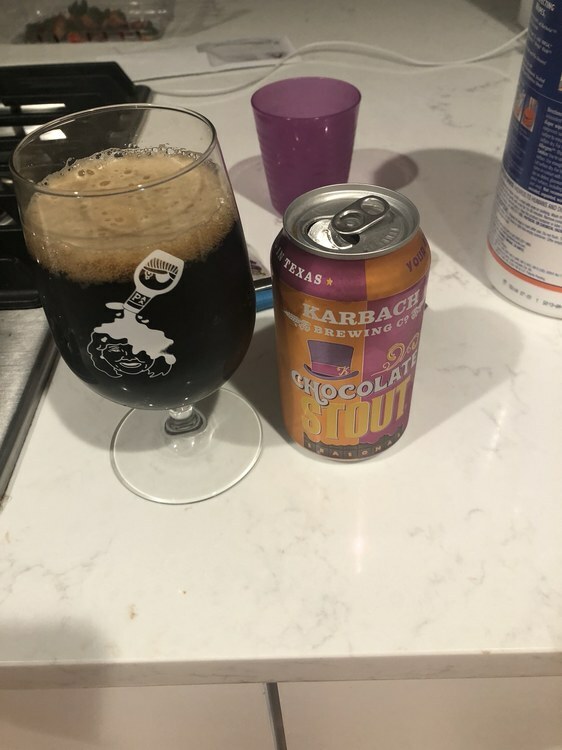 Karbach Brewing is a Houston, TX. company, and I think this "Good Golly Miss Molly" is from a few years back. Wrong! It’s, The Girl Can’t Help It! You lose...Eastern Europe! 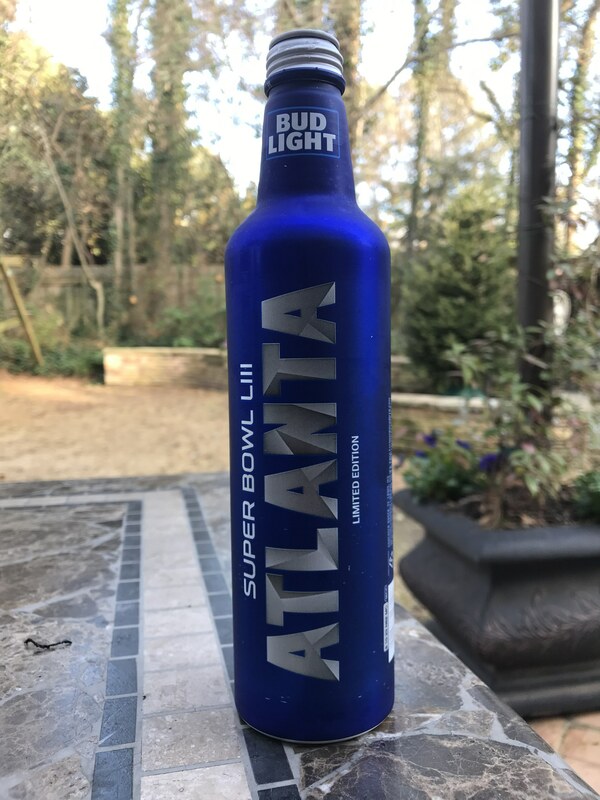 Had a Bud Light at a late lunch today, and it reminded me of something that I had noticed over the College Bowl Season. Is it just me, or are the marketing boys at A-B InBev trolling Fed Minnick in the latest BudLight commercials with the visiting Count and his Mead, effusive tasting notes, and dress complete with resplendent neckwear? This CBS was a a surprise pick up today. Also picked up some Founder's Frootwood. I was looking for Blushing Monk. 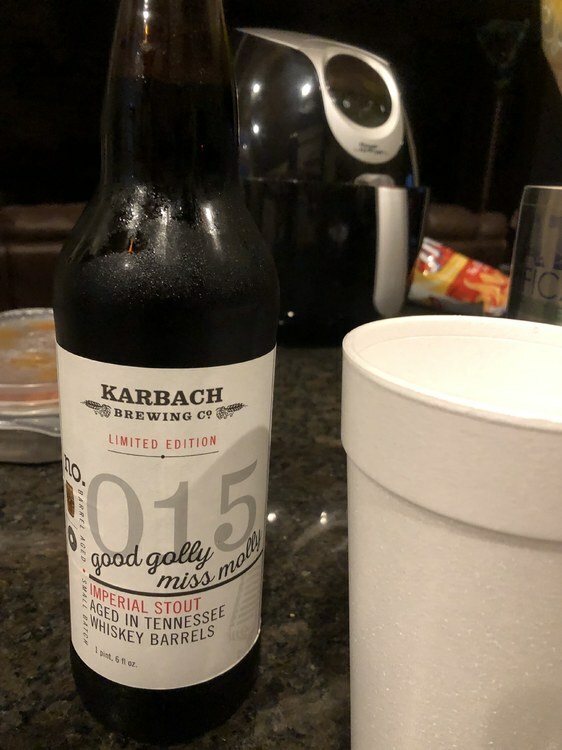 I had a bottle of the CBS over New Years. 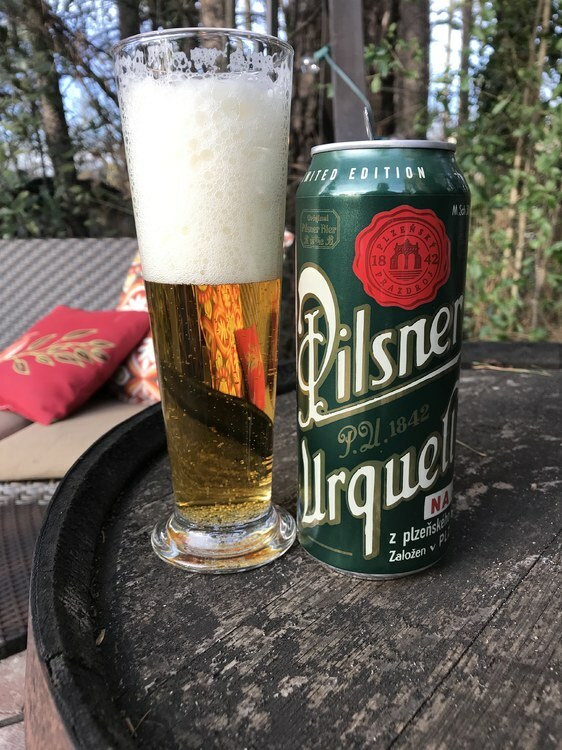 What a great beer no matter the price !!! It's been my Christmas day pour the last couple of years. It is pricey but very good. This was a dollar or two cheaper than the ones I picked up at release. I have a few of them bunkered. If they don't release it next year I'll at least already have a couple for next Christmas. Curmudgeon's Better Half is an old ale vs. a stout but given the same maple/bourbon barrel treatment and is really good as well if you haven't tried it. Founders has recently stated that they will bottle CBS again around November/December 2019. 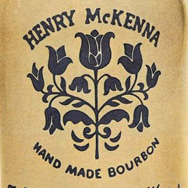 More importantly, they listened and it will be available in 12 ounce bottles at that time. So drink those cellared bottles, more will be coming. Founders has its Cellar Raid weekend starting tomorrow. 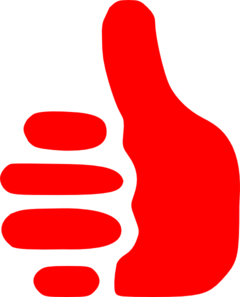 It's a great weekend to try a lot of beers that they are serving for the first time. They are also selling bottles of their barrel aged Imperial Stout starting tomorrow. It is a taproom only release. This will be the first time that they have bottled it (that I know of) so I'm expecting it to fly. I'm hoping to get some after work tomorrow. I love the trend to move to 12 oz bottles. Especially for those monster stouts. Yeah, my wife doesn't like stouts so it's a bit much to finish a bigger bottle on my own sometimes. Even better if they went smaller I love the little 8 oz cans 21st Ammendment puts Lower de Boom in. I passed on that last week or two. I wasn't all that crazy about the latest Abraxas and decided to spend money on bourbon instead. Don't think for a minute that Founders is finally bottling more of their big beers in 12 oz bottles out of the kindness of their souls. They're doing it because there are a lot of 750ml bottles sitting around right now because fewer and fewer people are willing to pay $25 for a bottle of beer - even if it is as good as CBS. So I got to Founders tonight at 4:30pm to purchase some of those BA Imperial Stout that they bottled as part of their Mothership Series. They had a 5 case limit and they sold out by 1:45pm. On a freakin' Wednesday! I'm guessing they didn't bottle much. I was able to have a pour along with purchasing a howler of that beer. Could be worse I guess. If they didnt have much why have a 5 case limit? Spread the love a little more. I'll bet a pretty big percentage is already showing up on the secondary. Very frigid and cold here in Minnesota today. Going to hit -25 F with the wind chill. Good thing I have some heavy awesome tasing beers in my bunker to get me through it. Just going to have a hard time picking what to have. Picked up some Blushing Monk tonight. I agree with the label that this is like Rubaeus' older brother. More mature. I don't think its necessarily more "intense" though. I like it quite a bit. So I got to Founders tonight at 4:30pm to purchase so heme of those BA Imperial Stout that they bottled as part of their Mothership Series. They had a 5 case limit and they sold out by 1:45pm. On a freakin' Wednesday! I'm guessing they didn't bottle much. I was able to have a pour along with purchasing a howler of that beer. Could be worse I guess. 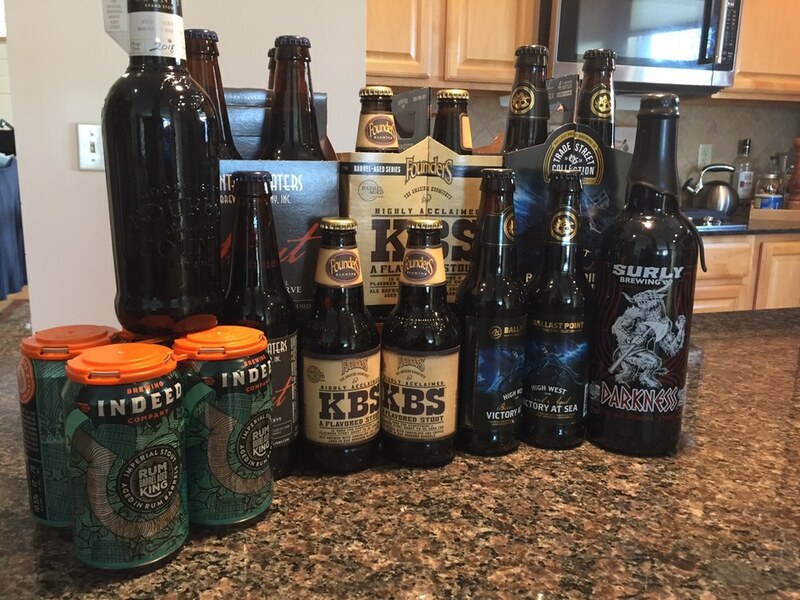 I recently got back into beer and happened upon a Founders CBS and a Goose Island stout last Thanksgiving. 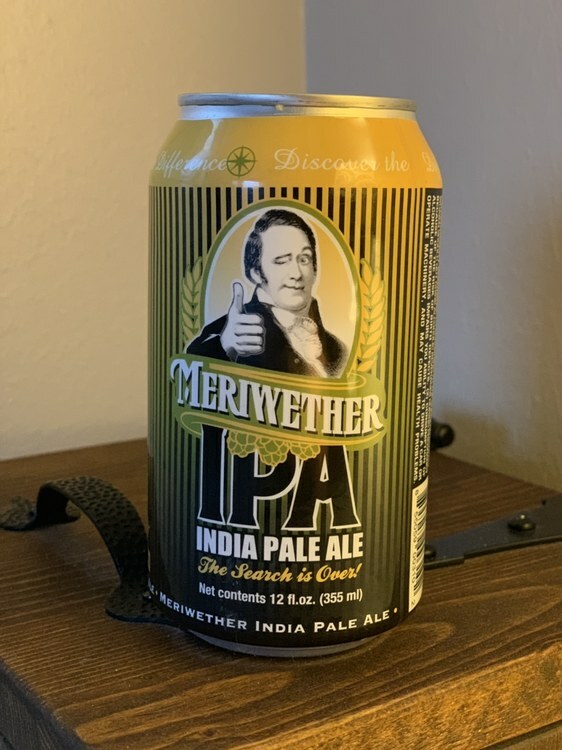 I was on some beer forums lurking around and found out that CBS is hard to find...or at least it used to be hard to find. As you stated it's just not selling in the bomber format. So anyway, I drank my CBS a few weeks ago and it was awesome. Then I just happened to be looking around at a local Kroger and they have a whole shelf full of 'em. Was a bit disappointed in that I thought the first one I got was a good score, but then I quickly got over that and bought another. So there's some actual proof that these are sitting on the shelf now. I gravitate more to pale ales, but one of the locals has a pretty good new IPA. Lots of hops supported by solid malt body but they give more fruitiness than bitterness. 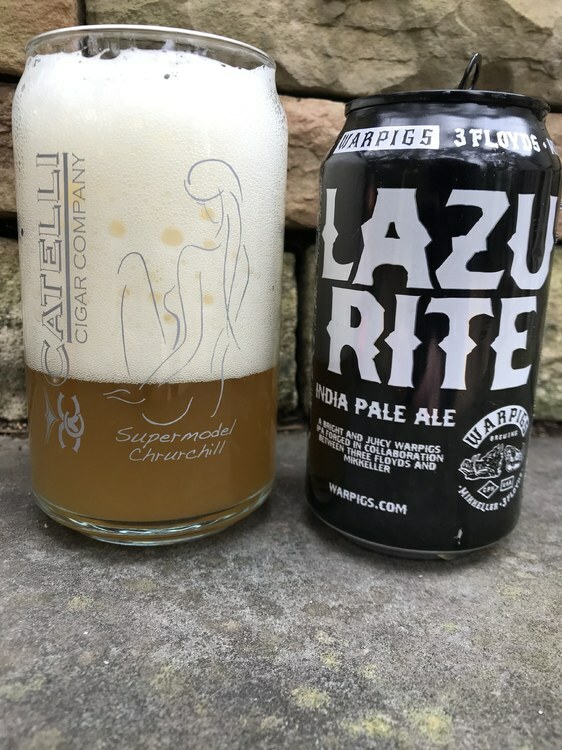 Taking a break from trying to clean out the garage with a Warpigs/3 Floyd’s/Mikkeller Lazu Rite IPA. 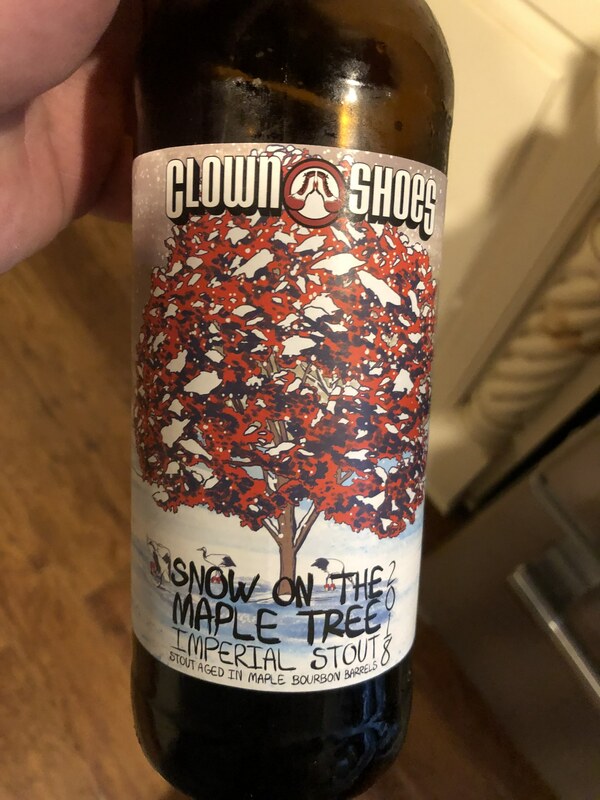 Having a good pour of CS “Snow on the Maple Tree”. Not to sweet, and has a very good coffee taste. I’m a sucker for some commemorative bottles and such, so couldn’t resist the ATL Super Bowl Bud Light Bottle. Drank it during the game and now on this really nice afternoon. I’m callin’ this work week OVER!